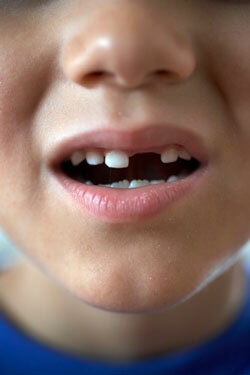 Up to $1,000 per child for basic dental services available, over two consecutive years. If you don’t use all of the $1,000 in your first year, you can use it in the second year; however, any remaining balance will not be carried forward at the end of the second year. Benefits include examinations, x-rays, cleaning, fissure sealing, fillings, root canals and extractions. Benefits are not available for orthodontic or cosmetic dental work and cannot be paid for any services provided in a hospital, nor do the benefits count towards the Medicare Safety Net or the Extended Medicare Safety Net thresholds. None! At K1 Dental we accept and bulk-bill CDBS patients to ensure that children who need dental care the most can achieve optimum oral hygiene. You won’t have to pay any out-of-pocket or “gap” expenses for your child’s dental care (provided that the treatment is general and does not exceed the $1,000 cap). What happens if my child’s treatment plan exceeds $1,000? If your child’s treatment plan will exceed the $1,000 over two years you will be immediately notified during the initial dental assessment. During this assessment your dentists will discuss suitable treatment options and costs. No dental services will be performed without your prior consent. If your child’s personalised plan changes at any stage, you will be notified to discuss options and the dentist will proceed in accordance with your wishes. Make an appointment with our practice in Toorak, Melbourne and let us know you are eligible for the Child Dental Benefits Schedule. At the time of the appointment, we will discuss your child’s treatment and any associated costs with you before providing the services. After this has been discussed, you will need to sign a consent form.